After more than 80 years, a small but extremely valuable set of photographs has been returned to Książ Castle in Wałbrzych that give a snapshot of the castle’s pre-war glory. 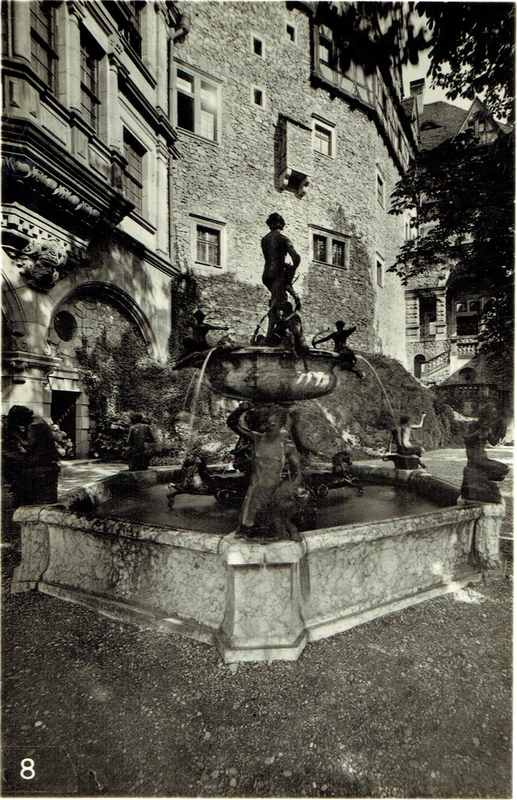 The twelve black-and-white photographs, contained in old envelope, were a tourist souvenir from the 1930s, when Książ Castle was opened to the public for the first time in its history. 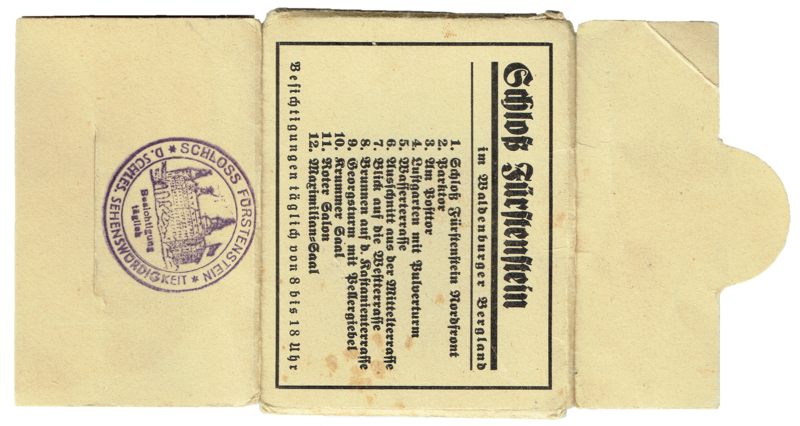 The yellowing cardboard envelope, stamped with the castle’s pre-war name Schloss Fürstenstein, arrived at the castle from Germany and was sent anonymously by a person whose father visited the castle as a little boy. At that time, the young tourist lived in the spa town of Bad Charlottenbrunn, today Jedlina-Zdrój, near Wałbrzych in Lower Silesia. 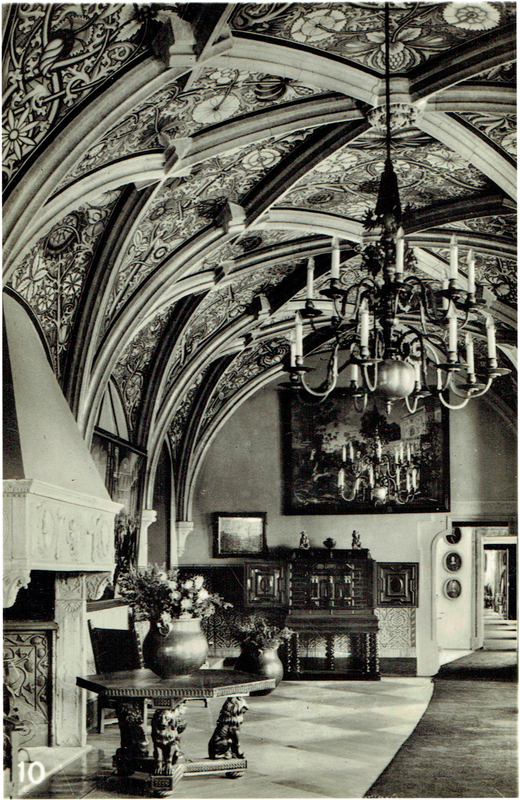 After the war, when Lower Silesia was joined to Poland, the family left their home forever, and one of the items they took with them was a set of historical photographs of Książ Castle. The donation is valuable because the castle was damaged badly during World War Two and many of the beautiful interiors were lost. Mateusz Mykytyszyn, spokesman for the Książ Castle, told TFN: “The donation was symbolic for the donor, but it is of great value for the castle. The set of 8.5x5.5cm photographs date back to the 1930s when the Hochberg family were forced to open up the castle to visitors to make ends meet. “The economic crisis in Europe meant that many aristocratic families in Germany, France and Britain were struggling to maintain their properties. The answer for many was to allow the public to visit and to sell photographs, books and other memorabilia,” Mykytyszyn said. Książ Castle, which rises sharply from its own peak in the thickly forested Wałbrzyskie mountains in south-western Poland, is the largest castle in Silesia and the third largest in Poland after the Teutonic stronghold in Malbork and Kraków’s Wawel. The massive grey and pink castle features many architectural styles and dates back to the 13th century when it was first built by members of the Silesian Piast dynasty. It changed hands many times, finally becoming the property of the Hochberg family around 1509. Later generations undertook many waves of reconstruction, added new wings, gardens, the 47-metre tower and lavish Baroque and neo-renaissance interiors. By the 1920s, though, the fortunes of the Hochbergs had begun to wane and the castle slowly fell into disrepair. The family’s response was to open the castle to the public and the donated set of photographs would have been purchased from the gift shop selling memorabilia connected to the castle that is known to have operated at the time. These efforts were short-lived, however. In 1943, the Hochberg family handed over the keys to castle to the German government is exchange for their debts being written off. An organisation called TODT then set about tearing down the beautiful interiors, initially to build a future headquarters the German foreign ministry, as well as accommodation for Hitler and Nazi top brass. However, the vast underground complex was not completed by the end of the war and its true purpose remains a mystery 70 years after the war. Some historians say the complex was to become Nazi command headquarters, others believe the tunnels were to house an armaments factory or a nuclear weapons laboratory. Some of the tall, damp tunnels can be visited by tourists, but many remain unexplored. The network of tunnels and bunkers, some of which were opened to the public last year, stretches its tentacles far out into the Wałbrzyskie mountains. In 2015, the eyes of the world turned to Książ Castle and its labyrinth when local treasure hunters claimed to have found a 150-metre-long Nazi-German gold train packed with over 300 tonnes of treasure. In the end, the loot wasn’t found but many still believe it lurks hidden nearby. The high-quality photographs show views of the park, terraces and castle interiors from the mid-1930s. 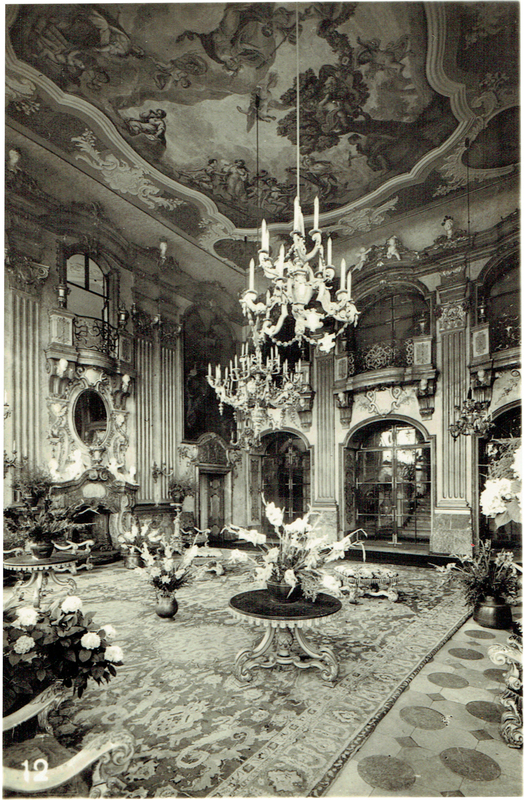 One of the photographs shows the improbable grandeur of the Maximillian Hall, the best preserved Baroque palace room in Silesia. Delightful ceiling paintings with mythological scenes painted in the mid-18th century can be seen, which after the wartime destruction were recreated in the 1970s. Another shows an exquisite, intricately decorated, vaulted ceiling in the Arched Room hovering over a huge fireplace with heavy, Baroque furniture placed nearby. 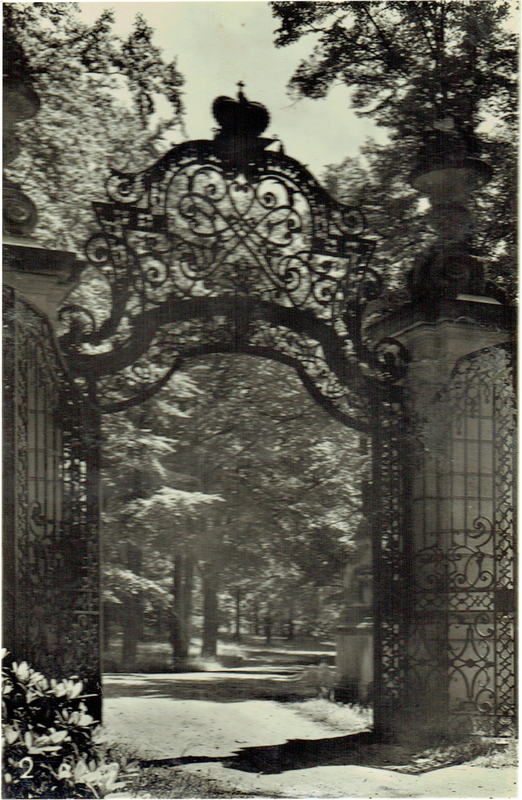 An exterior photo shows the Chestnut Terrace with a sculpture once attributed to Italian renaissance sculptor Donatello, while another depicts the decorative Lubiechowa Gate opening up onto a road. 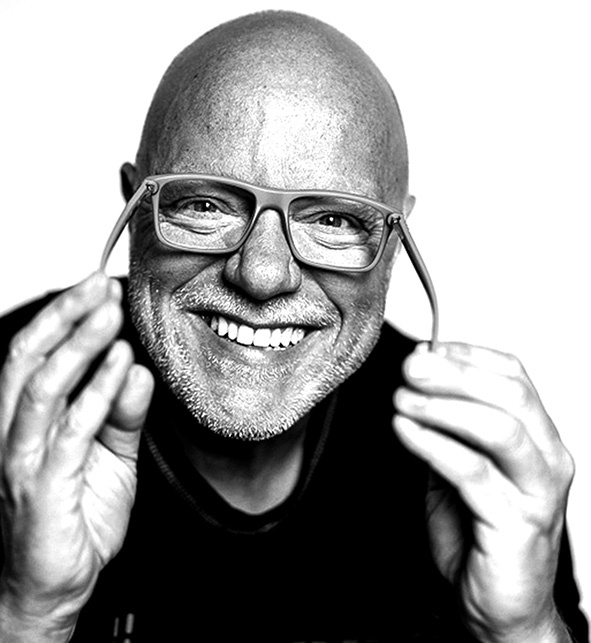 “The photographs will be published in album we are planning to release later this year called Książ Castle Wonder of Poland,” Mykytyszyn added.